The Chronicle Flask: award-winning science blog! I’m usually quite strict about keeping this blog devoted purely to chemistry-related, or at least science-related, articles. 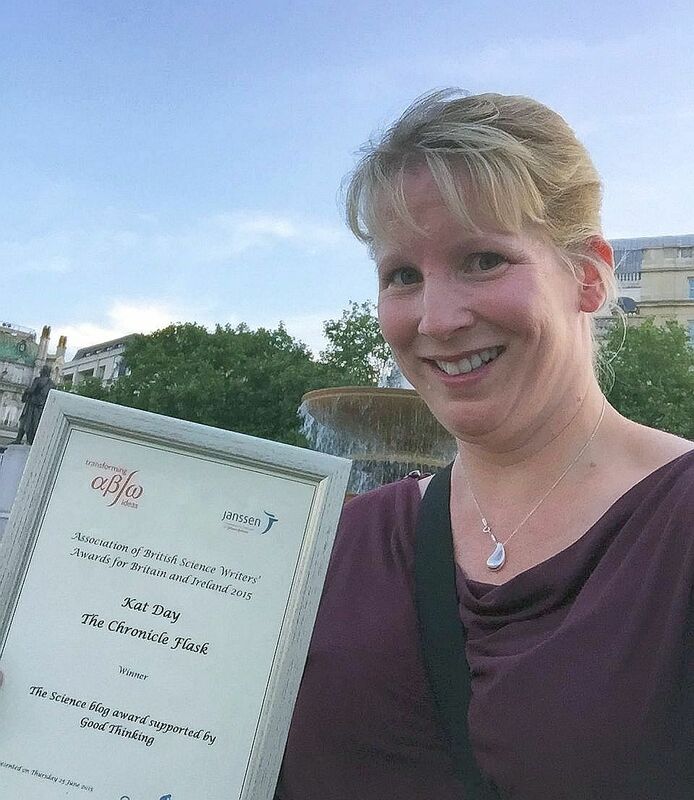 But today I’m going to make a little exception because something very exciting has happened – this blog is now award-winning! Yesterday I had the privilege of attending the Association of British Science Writers’ 2015 Science Journalism Awards at The Royal Society in London. To my complete amazement, The Chronicle Flask won the Science Blog award supported by Good Thinking. Even more fabulously, the award was presented by none other than Simon Singh MBE. The shortlist for the award consisted of Head Quarters, The Carbon Brief and Animal Magic. They’re all fantastic blogs so it really was a huge surprise to win the category. I want to say an enormous thank you to all the people who read this blog, and who’ve tweeted and shared links to my posts over the last couple of years. A blog is nothing without its readers – thank you! And I’d also like to congratulate all the other winners. There were so many brilliant entries, including the BBC Science Production Infested! Living with parasites for best scripted/edited television programme, Maria Delaney for best newcomer, and Tales of the Hobbit by Ewen Callaway for best feature. Here’s to many more chemistry articles to come! 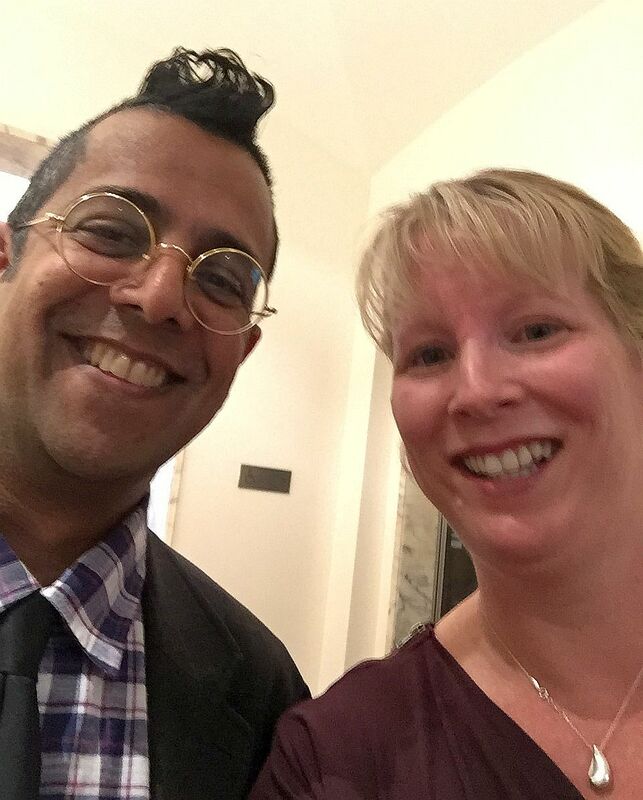 This entry was posted in Awards, Chemistry in the media and tagged 2015 Science Journalism Awards, absw, association of British science writers, Good Thinking, Science Blog award, Simon Singh, The Royal Society by katlday. Bookmark the permalink. Congratulations! It is a well deserved win!